A pair of sapphire and diamond ear pendants. Each designed as a circular-shape sapphire and brilliant-cut diamond border, suspended from the knife edge bar spacers and diamond and sapphire surmount. Estimated total diamond weight 0.15ct. 4.8 grams. 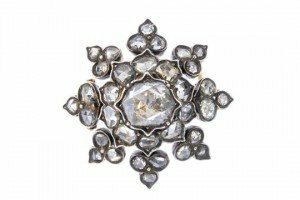 A Georgian diamond memorial brooch. The foil-back rose-cut diamond, with similarly-cut diamond scalloped surround and trefoil border. Glazed hair panel reverse. 5.3 grams. 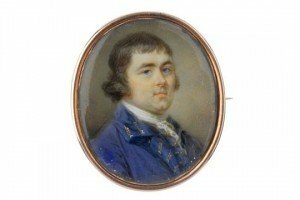 An early 19th century gold painted portrait brooch. Of oval outline, depicting a gentleman in profile, within a plain surmount. A sapphire and diamond cluster ring. 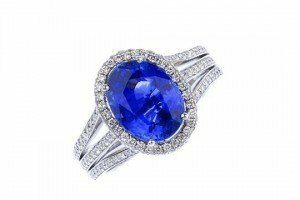 The oval-shape sapphire, within a brilliant-cut diamond border, to the brilliant-cut diamond trifurcated shoulders and plain band. Signed Baskania. Estimated total diamond weight 1ct. 8.8 grams. A citrine, onyx and diamond brooch. 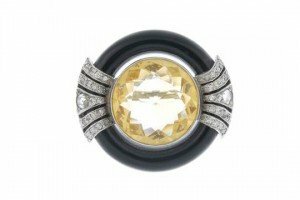 Of geometric design, the circular-shape citrine collet, within a black onyx halo, to the rose and single-cut diamond tapered line sides. Estimated total single-cut diamond weight 0.30ct. A pair of coral ear hoops, the circular earrings set with polished coral beads, with shepherd’s hook fitting. A single row freshwater cultured pearl, coral and lapis lazuli necklace, composed of alternating freshwater cultured pearls, lapis lazuli and coral beads, suspended from a coral clasp; together with a matching pair of earrings, with shepherd’s hook fittings. 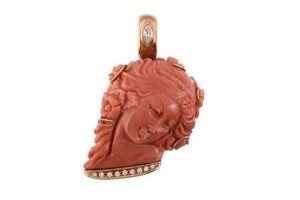 A coral pendant, carved with the profile of a lady with flowers in her hair, the bale set with a marquise shaped diamond, stamped 750, the reverse inscribed del Gallo. 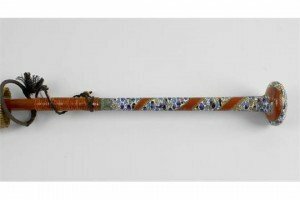 A Japanese porcelain stick stand. 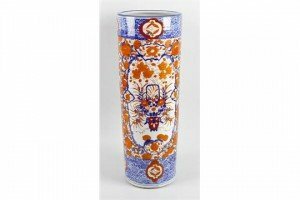 Of cylindrical form decorated in Imari colours with vase of flowers upon a floral ground within further blue bands. 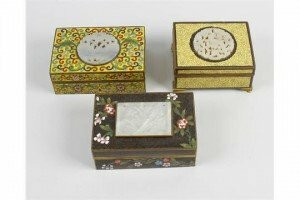 A cloisonné box with jade mounted cover, of rectangular form having foliate wire-work decoration upon a yellow ground to the whole and with pierced circular jade panel mounted to the hinged cover, opening to reveal a vacant interior. Together with two other similar examples each having mounted panel to cover. 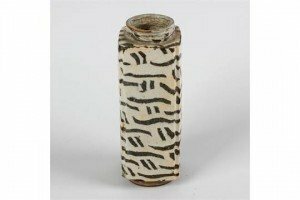 An unusual Japanese studio pottery vase in the manner of Shoji Hamada, of tall square section with fluted corners and monochrome striped decoration. 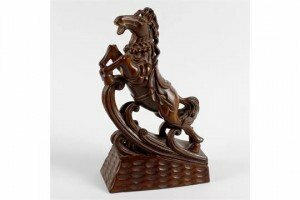 An unusual Oriental carved wooden figure. Modelled as a saddled horse galloping upon a wave, with inset eyes and teeth, raised upon a textured base. A Chinese porcelain brush pot or taibaizan. 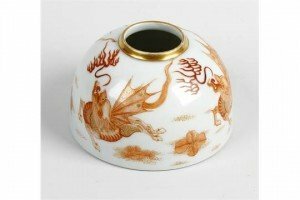 Of hemispherical form painted in burn orange with dragons chasing the flaming pearl, with gilt rim, Lingzhi mark beneath. 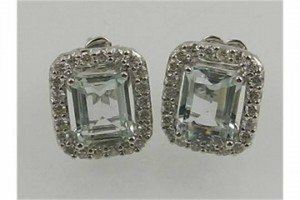 An 18 carat white gold, diamond, and aquamarine earrings, each set with an emerald cut aquamarine surrounded by an openwork diamond mount. 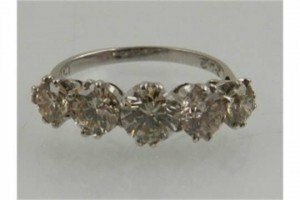 An 18 carat white gold and diamond graduated five stone ring, the five round cut stones of approx. 2.40 carats combined. 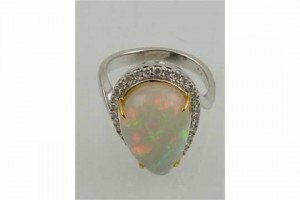 An 18 carat white gold, diamond, and opal ring, set pear cut opal surrounded by small diamonds, within a crossover setting. 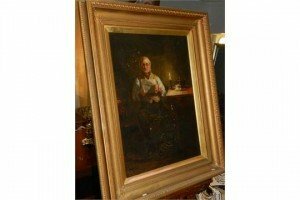 A late 19th century oil on canvas, depicting a gentleman reading by candlelight, signed and dated lower right, 1881, within a giltwood frame. 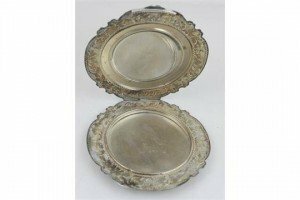 A Continental white metal ladies compact, of shaped cartouche form, having engine-turned design and floral border, opening to reveal mirror and powder compartment. 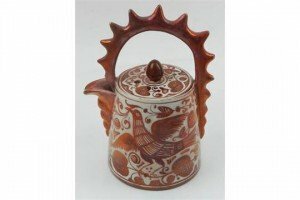 A Continental lustre ware teapot in the manner of William De Morgan, the decoration showing bird among flowers. A cloisonné mounted parasol. The cylindrical handle with bun finial having cloisonné dragon upon a cloudy ground, leading to the folding paper parasol decorated with shrines and cranes.